Professor Sir Kent Woods, chief executive of the MHRA, said: ‘Patients should continue to take their medicines because our investigation has currently found no evidence of a safety risk to patients. All of the deaths and possible adverse reactions were reported by patients who rang a call centre run by Roche’s US subsidiary Genentech. Staff there failed to pass on the reports to Roche’s drug safety team – but it is not known why. Roche, which made profits of £6.3 billion in 2010, has a legal duty to examine every suspected side effect and report them to regulators around the world so that potential safety concerns can be investigated. This means that each side effect reported to the patient support call centre should have been immediately sent to the safety team to be assessed. These must then be sent to regulators – within 15 days for the most serious reactions – even if no link between the drug and the reaction be proved. Some of the call centre’s records, which date back to 1997, are said to have been noted down on paper and kept in boxes. However, a spokeswoman added: ‘It’s not often we make statements on such findings, so we do take this incredibly seriously. The numbers are huge but we’re not talking about confirmed reactions. 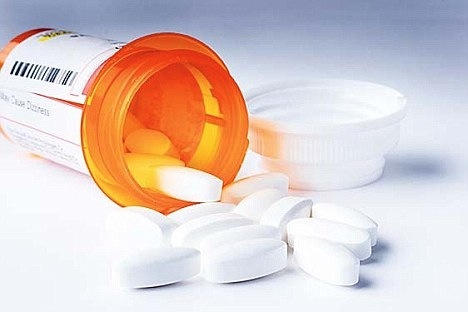 Other drugs being examined include Avastin, used for bowel and breast cancer; lung cancer medication Tarceva; Rituxan, which treats non-Hodgkin’s lymphoma; the stroke drug Alteplase; Actemra for rheumatoid arthritis; Pegasys for hepatitis B; and Raptiva for the skin condition psoriasis. If any new safety concerns emerge after examining the data, regulators could decide to withdraw the drugs or change their guidance to doctors. In a statement, Roche said: ‘Patient safety is of paramount importance to Roche. We acknowledge the concerns that can be caused by this issue for people using our medicines. ‘The non-assessment and non-reporting of these adverse events was not intentional and we are taking comprehensive steps necessary to address the findings of the MHRA inspection. We have provided initial estimates of missed adverse events and are in the process of confirming the final number. This page contains a single entry by sal published on July 9, 2012 11:55 AM. Death of the Birds and the Bees Across America was the previous entry in this blog. Scientists Sue Merck: Allege Fraud for MMR Vaccine is the next entry in this blog.